Fast RAM, good XMP. Perfect for what I needed. Got this so I can use my PC without being extremely limited on RAM. DDR4 is such a ripoff now; I didn't want to shell out $160 for 16GB. Hopefully prices drop next year so I can get back to 16GB RAM. On my Ryzen 5 1600 and MSI X370 SLI PLUS, this DIMM can run perfectly fine at 2933MHz (not 3000 because Ryzen RAM dividers). RAM is RAM. It's fast and it works. This memory is great for Ryzen. It ran at the rated speed just turning on the XMP. Don't be fooled by the fact it says Z170 on the product page, it works flawlessly with Ryzen. was able to OC to 3200 at manufacturer latency speeds (16-18-18-38-2), and it seems pretty stable, I got a blue screen for the first time after a week of use, not sure if its even related to the memory. It's RAM. It's reliable, it's fast, and it works. Started off with 8GB which is more than enough for our purposes, but if for some reason an upgrade becomes necessary, we can always get another stick for 16GB. Epic DDR4, I currently only have 1 in my PC, might pick up another so I have 16gb instead of 8. 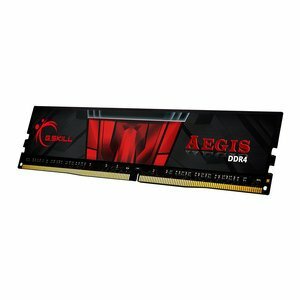 "Go beyond limits"
This RAM does the job, and it VERY inexpensive compared to other DDR4-3000 8 GB sticks at only $58. Even though my motherboard did not list this RAM in the QVL, it still worked great when set to 3000 speed. I would recommend this RAM if you are creating a simple build, and are not looking to spend much on RAM. Solid RAM, running at 2666 in the H370. This RAM and my motherboard (MSI B450-A Pro ATX) immediately and stably overclocked to 2933 mhz by using a XMP Profile. Would recommend, especially at a price of $64 plus tax.